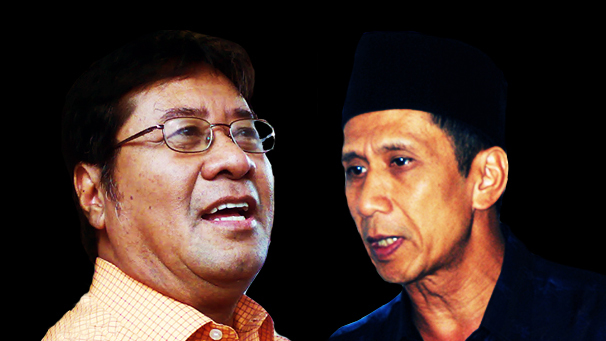 K-point: Constitutional Tort By The Selangor State Service Commission? I was never interested in who was or is to be the State Secretary (SS) of Selangor. Then the “K-point” issue – the appointment of one Khusrin Munawi as the new SS – arose and unleashed a barrage of questions, allegations and venom. I was still not interested. Surely this realisation must count for something then? No. It was only when a LoyarBurokker, in usual LoyarBurok fashion, conned me into believing that this narrative had to be written that I spent time writing this instead of going to sleep. Given that I respectfully disagree with the views my learned friends, Hafarizam Harun and Tommy Thomas, it is necessary to take some time to chart the complicated constitutional characters of K-point. Law Article 132(1) of the Federal Constitution (FC) states that the public services include “(g) the public service of each State”. The qualifications for appointment and conditions of service of persons in the State public service may be regulated by State law (for the purposes of K-point, the Selangor State Constitution and Selangor Enactments) and subject to the same, by the Ruler of the State. Application Immediately one sees that State law, in terms of qualifications and conditions, takes precedence in respect of the State public service. Relate it back to the post of the SS and under Article 52 of the Selangor State Constitution (SSC), the SS must be of the Malay race and profess the Muslim religion. Law Article 132(2A) FC states that every person who is a member of the public services (i.e. armed forces, judicial and legal service, general public service of the Federation, police force, joint public services and education service) holds office during the pleasure of the Yang di-Pertuan Agong. However, every person who is a member of the State public service holds office during the pleasure of the Ruler. Application The allegiance of the State public service is directly to the Ruler of the State, in this case the Sultan of Selangor, and not to the Yang di-Pertuan Agong (federal). Article 132 FC sets the tone, but it is not the clincher. All 132 merely does is to remind us that the State public service has a special place in our federal-state system, and is set apart from other public services. (Read MyConstitution’s excellent The Rakyat Guides: 3. Federal-State Relations if you want to know more.) The State Constitutions are also to be read in tandem with the Federal Constitution in the employment of State public servants. Law Article 139(1) FC states that there shall, subject to Article 144, be a PSC whose jurisdiction shall extend to all persons who are members of the general public service of the Federation and joint public services (other than the Auditor General), to members of the Malacca and Penang public services and, to the extent provided by Clause (2), to members of the other State public services. Application In K-point, the State in question is Selangor. The italicised words above are important, the rest are irrelevant to the issue. Does Article 139(1) read with Articles 139(2) and 144 give PSC jurisdiction over the Selangor public service? Law Article 139(2) FC states that the Legislature of any State other than Malacca and Penang may be law extend PSC’s jurisdiction to all or any persons in the State public service; but if at any time there is no such law and there is no established and functioning State Public Service Commission, PSC’s jurisdiction shall extend to all members of the State public service if federal law provides so. (ii) if there is no such Selangor Extension Enactment and Selangor does not have a functioning State Public Service Commission, federal law extends PSC’s jurisdiction. Based on a brief, non-exhaustive but tortuous spell of research, it appears that there is no such Selangor Extension Enactment. I stand corrected on this, and I would appreciate feedback in the comments section below. Further, under Article 97 SSC, there is the Selangor State Service Commission which, to my mind, appears to be the “State Public Service Commission” mentioned above. Law Under Chapter 10, Article 97(1) SSC states that the Selangor State Service Commission shall have jurisdiction over all persons who are members of the State public service. Clause (9) SSC states that it is the Selangor State Service Commission’s duty to appoint, confirm and emplace on the permanent or pensionable establishment, promote, transfer and exercise disciplinary control over members of the services to which its jurisdiction extends. Application Pursuant to Article 139(2) FC, without the Selangor Extension Enacment and with Chapter 10, Article 97 SSC, PSC’s jurisdiction cannot extend to members of the Selangor public service. Law Article 144(1) states that it shall be the duty of the PSC (and other Commissions established under the FC) to appoint, confirm and emplace on the permanent or pensionable establishment, promote, transfer and exercise disciplinary control over members of the service or services to which its jurisdiction extends. Application Article 97(1) and (9) SSC in respect of the Selangor State Service Commission is similar to Articles 139(1) and 144(1) FC in respect of the PSC. Article 148(2) FC defines the “State Public Service Commission” in Article 139(2) FC as a Commission exercising functions in respect of members of the State public service and corresponding in status and jurisdiction to the PSC, i.e. the Selangor State Service Commission. Article 52(1) SSC states that there shall be constituted the offices of State Secretary, State Legal Adviser and State Financial Officer; and the appointments thereto shall be made by the appropriate Service Commission from amongst members of any of the relevant public services. Discourse on which is the proper appointing body under the SSC (in respect of the SS) has centred on the words “appropriate Service Commission”. I agree with my learned friend, Tommy Thomas, that the words are ambiguous. But I humbly differ from his view that one should refer to “constitutional conventions” to then assume the appropriate appointing body would be the PSC. “appropriate Service Commission” in relation to any public officer means such Service Commission as under the [Federal] Constitution has jurisdiction over such officer or in the case of a public officer in the employment of the Government of a State who is not under the jurisdiction of any of such Commission means the public Service Commission of such State having jurisdiction over such officer or if there is no such Commission means the Menteri Besar of such State. Based on my reading of the law detailed above, PSC has no jurisdiction over the appointment of the SS in Selangor, and taking the IA definition, the “appropriate Service Commission” in Article 52(1) SSC must be the Selangor State Service Commission. For the moment, I am prepared to say that nothing turns on this because it is way past my bedtime and I have yet to confirm the application of complicated Part III of the IA. The question that needs to be answered is whether Selangor has adopted Part III to interpret its laws – something for the lawyers, really – let me know anyone if you obtain the answer; and law students – you know who you are when you say that you religiously follow this blawg – please help check too and send in your comments below. The IA definition is definitely food for thought. It’s also time to revise and codify the IA to make it simpler to understand! (a) There does not appear to have been an appointment made by the Selangor State Service Commission in respect of the vacant SS post. The constitutional position requires the Commission to make the appointment. If not, a suit may be filed to compel the Commission to so act. (b) There is no apparent conflict between the SSC and FC that requires an amendment to the SSC through the Selangor Legislative Assembly. (c) Issues of who said what and of the taking of oaths are quite irrelevant to the singular constitutional question whether it is PSC or the Selangor State Service Commission that is to appoint the SS. K-point is a most difficult issue. It reminds us the rakyat that we must always question, always be vigilant and always ensure power is exercised in accordance with the spirit of our constitutions. Edmund (@edmundbon) chairs the Constitutional Law Committee of the Bar Council and by default writes like this – in case you weren’t able to make head or tail of this post. He wants to retire from practice, do yoga and design clothes for LoyarBeli. 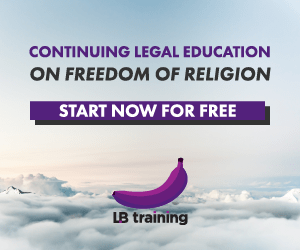 Constitutional and human rights law education requires a boost in Malaysia; that’s why the Malaysian Centre for Constitutionalism and Human Rights (MCCHR) aka LoyarBurok Rakyat Centre (LRC) is quickly moving ahead. Posted on 5 January 2011. You can follow any responses to this entry through the RSS 2.0. 9 Responses to K-point: Constitutional Tort By The Selangor State Service Commission? Pass resolution in State Assembly that 'appropriate Service Commission' refers to State Service Commission? This does not need two-thirds, only a simple majority. There is a major difference between appointment and secondment u/d our Fed Constitution. The word 'appoint' means two things; one is used in the legal parlance and the other in the ordinary parlance. The legal parlance of the word is found in Art.144(1) Fed Const, where the word 'appoint' simply means to hire/employ a person to be a member of one of the Service Commissions as enumerated u/d 132. So if you are appointed (hired/employed) as a PTD officer, your contract of employment is with the PSC ( A.139) who has exclusive jurisdiction over you in matters of confirmation, promotion, disciplinary action and dismissal amongst others. Likewise if you are appointed by the Judicial and Legal Service Comm (JLSC)( A.138), your contract of employment is with that Comm. The PSC has only jurisdiction over its member and not over a member of other Service Comms. In ordinary parlance, the word 'appoint' simply means, ' to assign a job or role to someone'; for eg an NGO 'appointing' someone to be their spokesman at a press conference. As opposed to 'appointment', in secondment cases, you are not hiring/employing anyone. As an eg take the Federal Treasury Dept which comprised mostly officers who are members of the PSC. In the Treasury they have a post of legal advisor, which is named the Senior Federal Counsel( SFC)-Grade Jusa B. The PSC has no jurisdiction to 'appoint' any legal officer from the JLSC to assume the SFC post, since legal officers are u/d the jurisdiction of the JLSC. Similarly the JLSC or Ag Chambers can't appoint any of its legal officer to that post since the Treasury SFC post does not belong to them. The post is within the warrant of establishment of the Treasury. Therefore to fill up that post with a legally qualifed officer, the PSC or a delegated body which is the PSD has to request the AG Chambers to post its legal officer on secondment as a Treasury SFC-Grade Jusa B. As a seconded officer he would still be a member of the JLSC which has exclusive jurisdiction over him in matters of promotion, transfer or discipline even though he now works for the Treasury. Notwithstanding that, both parties have the right to terminate the secondment in the interest of their respective services. In their daily conversation, Treaury officers might ask one another as to who had been 'appointed' the Treasury SFC. Although, the word 'appoint' is being liberally used, the posting of the legal officer is not one of 'appointment'in a legal sense but a 'secondment'. This sort of thing ie the secondment of public service officers to the States, Local Auth and organizations occur very commonly in the public service due to the many Service Commissions( 5 excluding the states comm) in our country , such that the constitutional and legal implications of it are almost taken for granted and are seldom discussed. It works within government departments since all have the same common interest. It also works between the Federal and State Gov't previously because they also have the same common interest being Umno/N led. Therefore no issues or protestations of the quality or suitablity of these seconded officers arise. In the posting of public service officers as can be seen from the above eg of the Treasury SFC, before any Service Commission could transfer an officer to a particular post, that Service Commission must not only have jurisdiction over the officer concerned but also over the post to which the officer is to be posted. This is where the KSN has not appreciated the legal implications of the posting of Federal public service officers to States Post. In all the States, the States' Constitution created the posts of SS, SLA and SFO. These are States Posts and not Federal Posts; where the holders' remuneration are payable by the States. Only the States or its Service Comm have jurisdiction to post or to transfer any public officers to such posts. To the best of my knowledge, as far as the States of Perak, NS, Pahang and Selangor are concerned there has never been any 'appointments' made by any 'appropriate commission' for the posts of SS, SLA and SFO. All previous holders of these posts assumed the posts on secondment as per Art.134; and all of them were still members of their respective Service Comm. ie the PSC and the SLA during their tenure of State's service. In contrast to the current SS's 'appointment', I have never come across a statement made by the JLSC or AG Chambers, that on the vacancy of a State's SLA, they have appointed another legal officer to assume the post as what happened in the Kushrin's case. The AG Chambers just act in accordance with A.134, and send their officer on secondment to assume the post of SLA. I think that must also be the case with the SS and the SFO. The State Service Comm can 'appoint' public service officers to assume the post of SS or SLA or SFO in lieu of secondment. But if such an appointment is made, then the said officer has to transfer service from their parent service commission to the State's service commission. Previously those posts are of a lower grade like Jusa B and C and most federal public service officers prefer a secondment rather than an outright service transfer by appointment. On your second Q. Edmund Bon has anwsered it. All you need to add further which was not mentioned by Edmund is Art.94 odf the SSC and Art.134 on secondment. There appear to be a few issues that need to be considered in more detail. In particular, the distinction between first appointment, promotion and secondment needs to be made. First appointment is mentioned in Article 144 of the constitution: "first appointment to the permanent or pensionable establishment". It appears that K-point is more about promotion and secondment than first appointment. 1. What is the difference between appointment and secondment? Does it matter legally whether you call it appointing or seconding? 2. You concurred with the Trengganu ex-judge that MB has the constitutional right (federal & state) to choose his SS. Which part of the constitutions say so? Syabas, Saudara Edmund! Finally, we hear from you in a well thought out article. Yoga certainly is doing you a world of good! Your point on the Interpretation Act is spot on. Article 94 of the Selangor State Constitution (perhaps soon to be the most downloaded document at digitalibrary) shows that the Interpretation Act of 1948 applies to the State Constitution of Selangor, as does the interpretation provisions of Article 160(2),(3) and (4) of the Federal Constitution (which do not have a definition of "appropriate Service Commission". Your definition seems to be from the IA of 1948, and so would apply. Now the intriguing bit is that phrase which suggests that some State employees fall within the jurisdiction of the federal Public Service Commission, which is perhaps answered by Mat Top's point about "secondment" of officers. The long and the short of it: your preliminary view seems to be spot on. Haven't heard from you on this part of the blawg for some time (hopefully you are the same MatTop here: https://www.loyarburok.com/the-system/judging-the-…. Welcome home! I'm learning more about this as we communicate and have been enlightened by your comment. I thus chose to analyse the issue from a purely interpretative perspective of the Selangor Constitution and the Federal Constitution on the assumption that it was an "appointment" made by PSC. Now, even if it is a secondment, you have captured the essence of the problem though a cursory glance at only Article 134 FC suggests to me that a "secondment" is not deemed an "appointment". Therefore, it would still not fulfill the requirement of Article 52 SSC because the word used in Article 52 is "appointments". When I have the time, I would want to re-look the issue. Let me know what you think in the meantime? In my opinion both you and Tommy Thomas are correct. The law as stated by you is quite obvious, that the appointing authority for the Selangor SS's post is the Selangor State Service Commission. This is by virtue of Article 52 SSC read together with sect.66 ( the definition section) of the Interpretation Act. And in the absence of such a Commission, it is the MB himself who is the appointing authority. In relation to the above, it has to be pointed out that in states such as Kelantan, Trengganu, Johor and Kedah( the former unfederated malay states) , it is the State's Service Commission who made the appointment for the post of SS and other key posts for eg District officers. This is possible because such Commissions have in their ranks the Professional and Managerial Group of officers, which are officially classified as category A officers as their members. In contrast to the above, in states such as Selangor, NS, Perak and Pahang, ( the former Federated malay states), the State's Service Comm., do not have as its members the Group A officers. Their members who are mostly of the category B, C and D group of officers are therefore not qualified to hold key posts such as SS and other state's posts. As such the State Government or their Service Commissions had to request the Federal government to second highly qualified public service officers from any of the Federal Service Comm as enumerated in Art.132 to fill up the key State's post. Such a request must be made in accordance with Art.134 of the Fed. Constitution and which is very relevant and pertinent to the current issue of appointment of Selangor SS. Art. 134(1) says: The Federation, may at the request of a State second any member of its public services to the service of the State… and para (2) says such a person shall remain a member of such a service..and his remuneration shall be paid by the State. ( Kusrin, the current 'appointee' being a PTD officer is a member of the Public Service Comm). By virtue of Art.52 read together with the Interpretaion Act, such a request must be made by the State's Service Comm or in its absence the MB. In the present imbroglio, there has been no such request made.Yet the PSC, on a frolic of its own and in gross violation of Art.134 had appointed Kushrin as the Selangor SS. It is also to be noted that the State's Service Comm/MB could request that the post be filled by any public officers from a member of any of the Public Commissions as enumerated in Art.132. There is no law to say that the post of SS should be filled only by PTD officers. If the State is of the opinion, basing on previous experiences, that a legally qualified officer is more suitable than a PTD officer to be seconded to the post as SS, then it should made such a request and the relevant commission who should be recommending their member to the State is the Judicial and Legal Service Comm. and not the PSC. With regard to the current "appointment" or secondment of the SS, the State Service Comm had done something which is not only constitutionally correct but also something efficacious. It had called upon current seconded PTD officers serving in Selangor to apply to be considered for the post of SS. Eight seconded PTD officers were interviewed of which Kushrin came last. The State's Service Comm shortlisted 3 candidates. Thus going by Art.134 Fed Const the State Service Comm should now write to the PSC of which these seconded PTD officers are members, asking them to select any one of them to be seconded as the SS of Selangor. It is not an appointment as provided for u/d Art.144 but a secondment. Going by Art.134 neither the PSC nor any of the other service commission has the power to appoint anyone to be SS of Selangor, even if there is a request made. All they can do is to second their member to take up the post of the Selangor SS. So in the final analysis, there should not be any appointment of a SS. There must only be a secondment of a PTD officer as requested by the State to assume the post of SS. In this regard a Trengganu ex-Federal Judge who is a current member of the Regency Advisory Council was correct in his opinion that Khalid as MB has the right both under the Fed and State Consti to choose his own SUK. You can't second someone whom he dislike or whom the State dislik. The beneficiary in all this mess is Kushrin himself. From an average Jusa Grade C officer, the PSC has promoted him to be a Jusa B officer by virtue of Art.144(1) and then gave him another promotion as acting Jusa A officer. His appointment is illegal and unconstitutional ab initio. There should be no appointment but only a secondment as provided by Art.134. He will be laughing all the way to his bank. The PSC and the KSN will look like fools. Luckily you have this mess and a well researched piece by Edmund Bon.